Natural wine cellars are of course the perfect place for storing wine due to the lack of light, vibration and their specific atmospheric conditions. 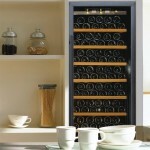 Of course you can store your wine in the cupboard under the stairs or in the attic but there are now more sophisticated ways to do so. 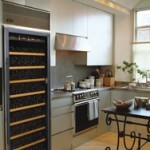 Our wine coolers offer the perfect alternative to a natural wine cellar! Check which model (on the right-hand side of this page) is most suited to your needs or use our contact form contact form if you would like more information. If you cannot play the film via the website, please click here. 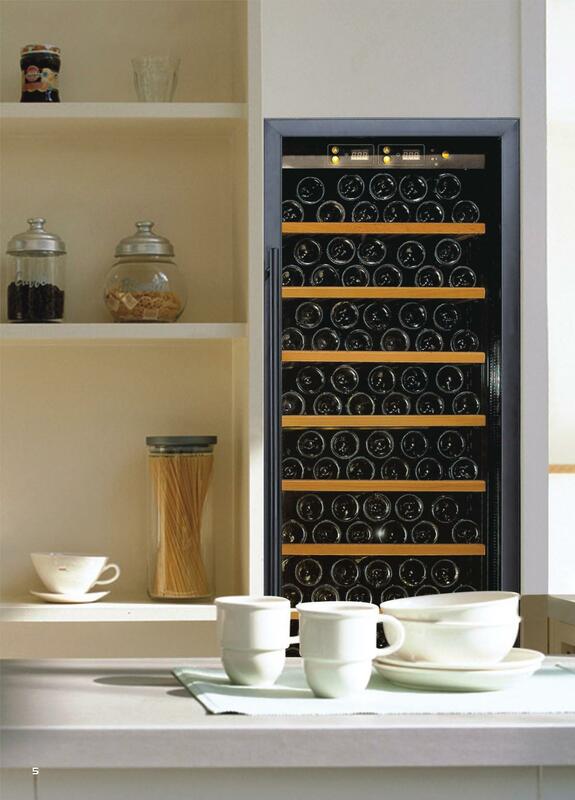 All our wine coolers are fitted with an insulated glass door and two temperature zones (12~22°C and 5~12°C), which means that they can be used to store white, sparkling and red wine. The anti-vibration system means that vibrations are consigned to the past and white wine can be stored in optimal conditions. The relative humidity is monitored constantly and therefore will always be above 60%. The temperature of the stored wine will barely change (+/- 1,0°C), which means that the temperature remains constant just like in a ‘real’ wine cellar. Our wine coolers ensure that your wines are stored at your chosen temperature and that they can be served immediately at any time! We supply a range of wine cooler models, from the table model (40 bottles) to a wine cooler suitable for the hospitality sector (+200 bottles), so you can also install a wine cooler / wine refrigerator in your house, apartment, at your company and at an exhibition. 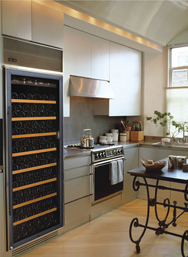 The wine coolers can also be built-in and are NOT dependent on the ambient temperature. The cooler’s interior is manufactured entirely from aluminium (black). Aluminium conducts heat and cold much more efficiently than plastic! Can be installed in cold areas (0-38°C) and is not dependent on the ambient temperature! Check which model (on the right-hand side of this page) is most suited to your needs or use our contact form if you would like more information. Pay regular visits to our website because we often introduce special models including limited editions. This limited production run of coolers will feature a stylish and highly original exterior and interior. The limited editions will of course feature a tag (engraved and serial number. Tip: it also makes a fantastic joint gift to give and to rent! We reserve the right to make changes and correct any printing errors.